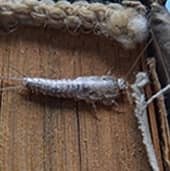 Silverfish feed on many things, such as books, leather, coffee, carpeting, sugar, paper, photos, cosmetics, clothing and starches. You'll find them in dark, moist, damp areas of your home. 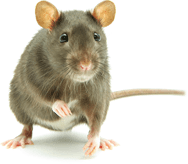 While they don't transmit disease, they can trigger allergies in humans and attract other pests. They also cause a lot of damage to your belongings, chewing large holes in clothing, upholstery, or paper. If you have a collection of files, books, and vintage clothing, you are at a higher risk for silverfish infestation. Problem with spotting a silverfish infestation is that they only come out at night. They live inside your walls, insulation and even in books. The only way you know they are there is through the holes they chew in these items. Keep your home tidy and seal boxes of clothing and documents tight if you're storing them in the attic. If you suspect silverfish infestation, call the experts at PureGuard today at 615-502-2855. Awesome customer service and did a great job. Very professional company and you can tell they are run well. No more Silverfishs! I will definitely use them again.